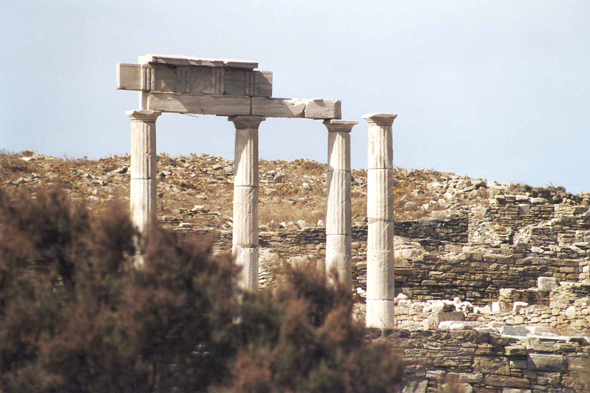 Establishment of Poseidoniasts of Delos. It was the house of the club of an association of Syrians and Lebanese shippers, traders,bankers, and warehousemen. It consists of a central peristyle, surrounded by temples devoted to Poseidon, Hercules and Rome. It isdated from the last quarter of the second century before Christ.